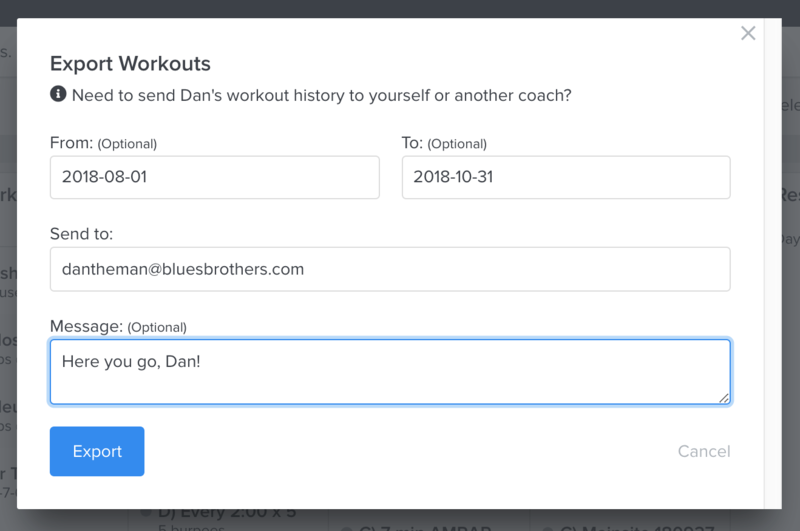 Exporting workouts to send to your clients has never been easier! 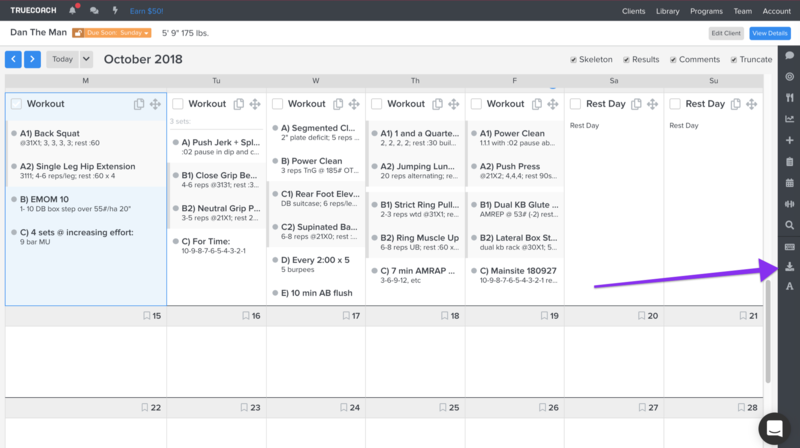 Simply go to their workout calendar and look for the 'Export' icon in the sidebar. Select the time frame, email address, and optional message. The exported .txt file will be sent to the email address entered in a few moments. You cannot export workouts from Programs yet, but you can expect to see that soon!